No, no, no... William Monahan is not bringing that crap Ted Danson* sitcom to the silver screen. Rather, he'll be writing his own adaptation of the great play about the Archbishop of Canterbury. Monahan will be directed and adapting Jean Anouilh's Tony Award-winning play, "Becket or the Honor of God," about the 12th Century power struggle between Thomas Becket and Henry II**, reported Deadline. "It's an adaptation, or re-invigoration, of an older play, which has already been a brilliant film," Monahan told Deadline. "For me, it's a chance to take on one of the greatest stories in our civilization, a double tragedy with two heroes, each of them paradoxical, each of them brilliant, each of them making mistakes that lead to their undoing." The bar is already insanely high for such a project. The 1964 version starred Richard Burton in the title role and Peter O'Toole as his best friend and foil, earned Edward Anhalt an screenwriting Oscar, and 11 other nominations, including ones for both Burton and Peter O'Toole. Monahan also has a Bets Adapted Screenplay Oscar, for "The Departed," on his mantle, so he's presumably got the chops for "Becket," but hitting on all cylinders the way the '64 version did will be a tall order. 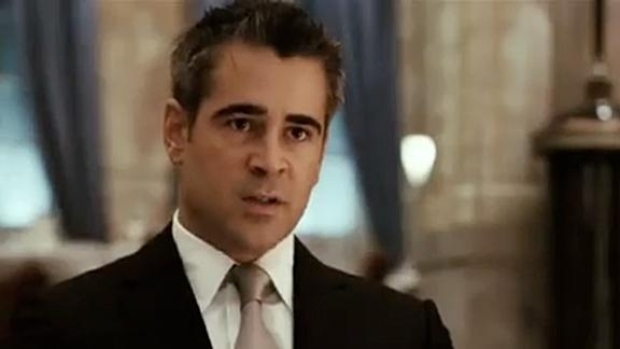 Monahan's directorial debut, "London Boulevard," stars Colin Farrell as an ex-con hired as a bodyguard for a beautiful film star, played by Keira Knightley. The film is being released in the UK on Nov. 26. *To be fair Danson is currently doing the best work of his career on "Bored to Death"
**O'Toole played Henry II again, just four years later, in "The Lion in Winter," a film every bit as good as "Becket."